Pam Ayres is on the podcast!!! Latest news from the podcast. 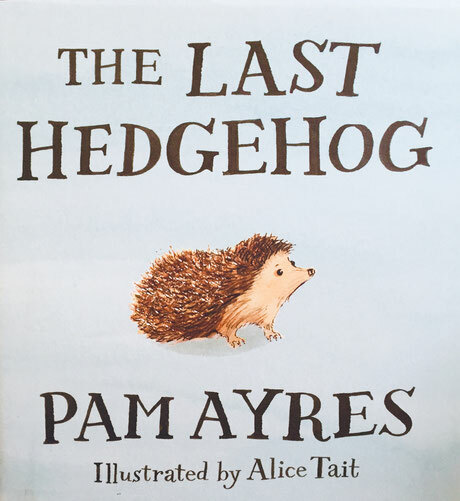 The lovely Pam Ayres kindly spent some time with me and talked about her latest book 'The Last Hedgehog' , gardening for wildlife, and revision notes for those of you wanting to win mastermind!! Have been experimenting with a few late season botanical studio shots. Chinese lanterns or Physalis in this instance. I like that they're just just starting to look a bit jaded. Many thanks for this record and the coordinates. I will enter this in the Conch Soc database. It is the first record for VC 33 (East Gloucestershire) and must be an introduction. This eastern European species is also established in London and at one site in Cardiff. Empty shells are occasionally found in plant pots elsewhere. I saw your photos back in August. We normally ask for a voucher specimen for a new VC record, and I would be grateful if you were able to send me one, although in this case I am satisfied that the ID is correct from the photo. Joff Elphick has worked at Le Manoir aux Quat'Saisons, The National Trust Advisory Department, Barnsley House. The private estate of Sir Chris and Lady Evans. Award winning cookery school and country estate 'Thyme' at Southrop. . He also hosts the highly popular POT and CLOCHE garden podcast and edits a number of other well known UK podcasts. Contact him if you have an idea for a horticulture or food inspired podcast. He is a proud member of the Garden Media Guild. Joff Elphick is an experienced gardener offering his services in Gloucestershire and the Cotswolds and has worked in some of the areas finest gardens. 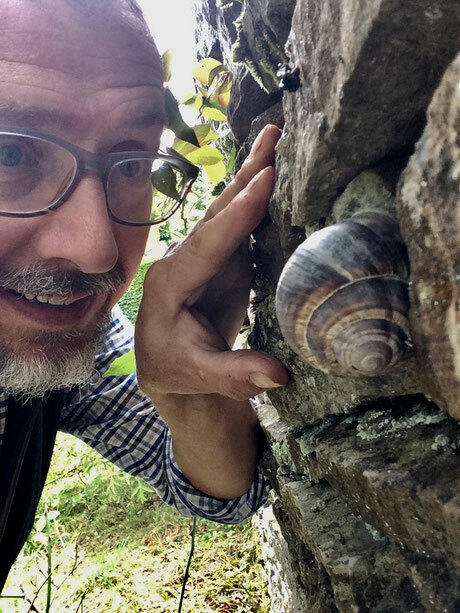 He is the host on the hugely popular gardening show Pot and Cloche Garden Podcasts where he interviews gardeners, writers, authors, nursery owners, and other horty movers and shakers. He studied horticulture at Pershore College in Worcestershire studying Garden Design with Chris Beardshaw (www.chrisbeardshaw.com) and attending Worcester University for science based lab work etc. During this time he worked for Telegraph Gardening writer Mary Keen in her private and well documented garden near Cirencester and also assisted CLA President Henry Robinson in his two acre garden 'Moor Wood', housing the national collection of rambling roses. Four enjoyable years at Barnsley House (www.barnsleyhouse.com) (former home of gardener and prolific writer Rosemary Verey and now a boutique hotel) included a year of preparation for the planting of a silver medal winning garden at Chelsea Flower Show devised by designer and writer Steven Woodhams (www.stephenwoodhams.com). He went on to work as Head Gardener for Sir Chris and Lady Evans on their private estate in Bibury. With a large productive potager, glasshouses, fine lawns, swimming pools and herbaceous borders this garden was the epitome of a classic English garden. His most recent position has been as Head Gardener at 'Thyme at Southrop' a beautiful 150 acre estate on the Gloucestershire/Oxfordshire bordercontaining Southrop Manor, luxury holiday lets, and a cookery school with gardens designed by Bunny Guinness (www.bunnyguinness.com). Despite ending his full time position there he continued for several years maintaining the cut-flower beds where he grew a large range of perennial and annual flowers for events in the Tithe Barn, the holiday cottages, and for quintessential English pub 'The Swan'.(www.theswanatsouthrop.co.uk). Part of the 2006 medal winning Barnsley House Chelsea Garden that Joff worked on.